That’s a new to me author and the story does sound good. I love Colleen Hoovers books. I think I probably gave this one 5 stars back when I read it. So well written and heartbreaking at times. Good well thought out review! I loved this story. It was an emotional read for me. 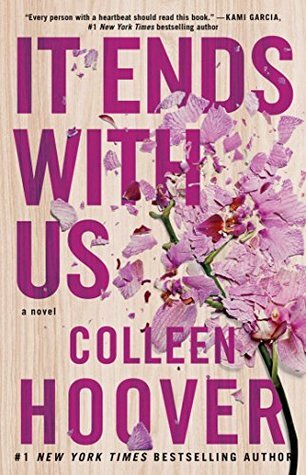 This was my first Colleen Hoover book. This one sounds good. What a tough childhood to overcome. I have a two or three of her books in my list and I hope this book is one of them. Great review! I enjoyed this one Melliane. Glad you did as well. I have never read this author, but I know her books are very popular and looks like for good reason! I’m glad you had a good time! Lily sounds like an interesting character. I haven’t read anything by Colleen Hoover yet. I have heard so many good things though and definitely do want to read her work. This book sounds like a great one so I will keep it in mind. Sounds like an important read. I need to check out Hoover. I’ve struggled with her books, November 9 was a flop for me. I have heard amazing things about this and the subject matter in this looks heartbreaking so the plan is to try it. I listened to this last summer and I really enjoyed the audio version. I did enjoy the author’s note at the end as well. I am not always a fan of COHO, but this one was a win for me, glad you enjoyed this as well.